The challenge of reversing rising atmospheric CO2 concentrations is growing with the continued expansion of CO2-emitting energy infrastructure throughout the world and with the lack of coordinated, effective measures to manage and reduce emissions. Given this situation, it is prudent for society to explore all potential carbon management options, including those with seemingly low probability for success. Recent initiatives for advancing and enhancing carbon storage options have focused primarily on the physical trapping of CO2 in underground geologic formations and on the biological uptake of CO2; less attention has been given to approaches that rely primarily on geochemical reactions that enhance transformation of CO2 gas into dissolved or solid phase carbon by liberating cations to neutralize carbonic acid. This paper provides a structured review of the technical status of these geochemical approaches, and also presents a simple framework for assessing the potential and limitations of various proposed geochemical approaches to assist prioritizing future research in this area. 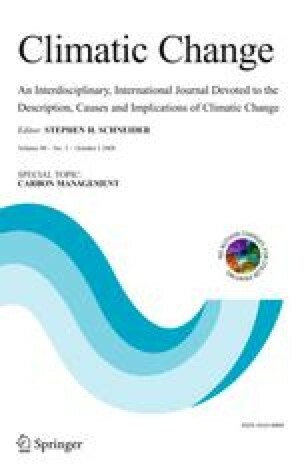 Despite major limitations, geochemical approaches have unique potential to contribute to CO2 reductions in ways that neither physical nor biological carbon storage can by allowing for the direct removal of CO2 from the atmosphere with minimal requirements for integrating with existing infrastructure. Recognizing the severity and urgency of the need for carbon management options, we argue for an increase in research activity related to geochemical approaches to carbon management.